Root login is disabled, if the PermitRootLogin directive is commented out (# in front) or its value is not set to yes. Note that Ubuntu root account does not have a password by default. So if you want to log in to root ssh account, first you muse have set a password for the root user. Allowing the root user to login over SSH is a not a good idea. we don't need to login as root to get root privileges. 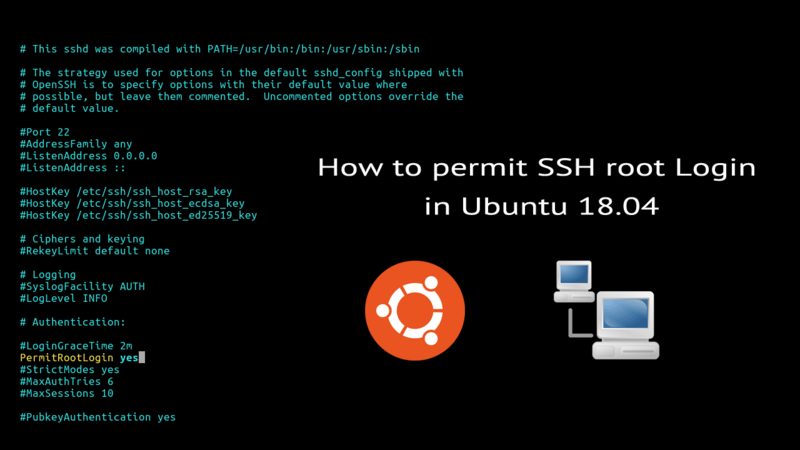 You can ssh to your Ubuntu server using a user who has sudo privileges, then switch to the root user account using sudo -i command.